Q: What can you tell me about the EB-5 Program? A: It is best to obtain your information about the program directly from the source. United States Citizenship & Immigration Services (“USCIS”), the agency entrusted with administering the EB-5 Program, has a website which provides a comprehensive description of each aspect of the program. 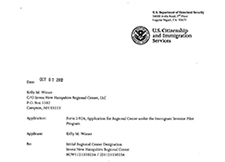 Q: Do I have to live in New Hampshire if my EB-5 participation is facilitated by Invest New Hampshire Regional Center? A: No. Although we all very much enjoy living in New Hampshire, EB-5 Investors may live anywhere they wish within the United States. Q: Do I have to use Invest New Hampshire Regional Center’s suggested attorney? A: No. However, any of the businesses Invest New Hampshire Regional Center identifies on this website, including the law firms, as having expertise in their field should be strongly considered by you. Invest New Hampshire Regional Center has worked very closely to identify these businesses and is confident you will receive the top level of service from them. Q: Must I put my investment money into escrow? A: Yes. 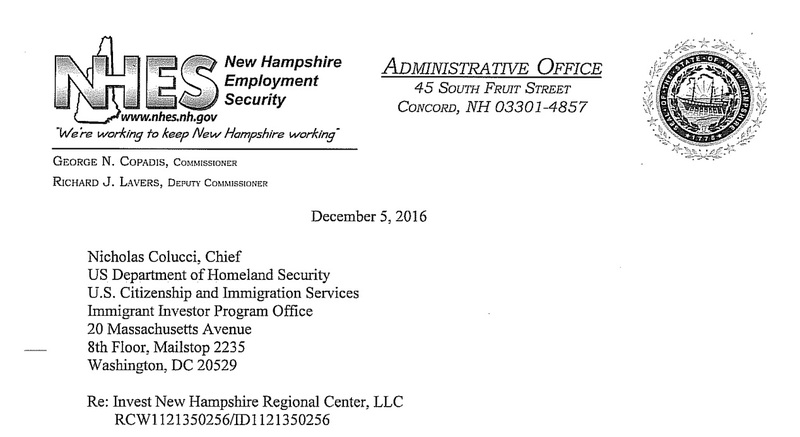 Invest New Hampshire Regional Center is dedicated to making your involvement in the EB-5 Visa process as safe as is possible. Q: Is there someone available at Invest New Hampshire Regional Center who can speak to me in Mandarin? A: Yes. Meijuan “Summy” Pilling is a native Mandarin speaker and is available to answer any question you may have regarding the information provided on our website. You can read more about Ms. Pilling here . To contact Ms. Pilling, please see our Contact page.